Location: Vyborg, Leningrad Oblast, Russia. Ownership / Access: Currently serves as a museum. Notes: Vyborg Castle is a Swedish-built medieval fortress around which the town of Viborg (today in Russia) evolved. 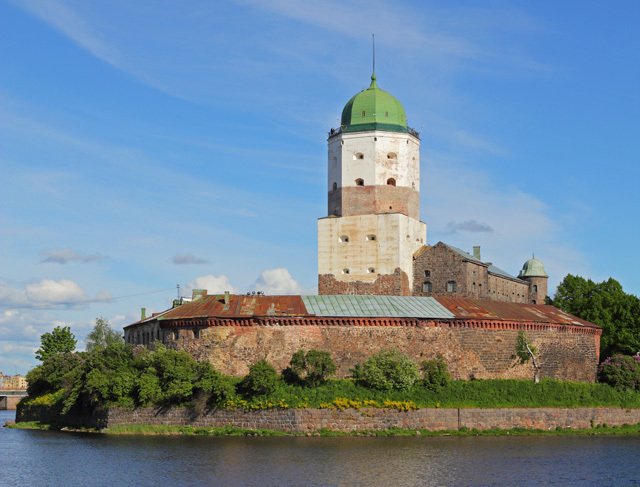 Currently it serves as a museum.Vyborg Castle was one of the three major castles of Finland. It was built as the easternmost outpost of the medieval Kingdom of Sweden: it is located on the Karelian Isthmus, on a little islet in the innermost corner of the Gulf of Finland, in a tight strait which connects Suomenvedenpohja to Bay of Viipuri. It was originally constructed in the 1290s. The town was originally located inside the outer fortifications of the castle, at the fortress island, but it had to be moved to its present location out of the island because of lack of space.